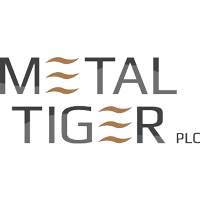 Metal Tiger plc (LON:MTR), the London Stock Exchange AIM listed investor in strategic natural resource opportunities, provided an update regarding Kalahari Metals Limited’s copper-silver exploration progress. Drill-ready targets identified through Phase-2 high resolution aerial electromagnetic and helicopter-borne magnetic geophysics surveys over the Ngami Copper Project (“NCP”) and Okavango Copper Project licence areas, significantly advancing the exploration potential of both projects. At the OCP, the marker conductors associated with potentially mineralised contacts have been mapped from the Zone 5 (100 Mt @ 1.95% Cu & 19.9 g/t Ag) and Zone5 North (17 Mt @ 2.27% Cu & 43.4 g/t Ag) deposits, both held by Cupric Canyon Capital, into the OCP licences with a prominent fold closure target considered drill ready.